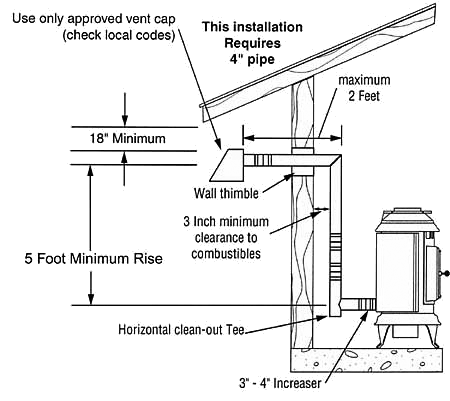 Installation and repair should be done by a qualified service professional. 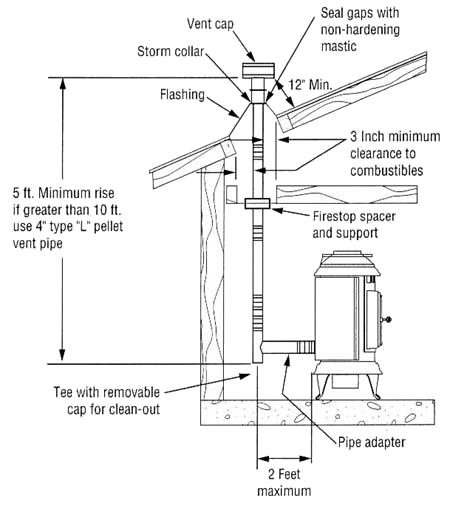 The stove should be inspected before use and at least annually by a service professional. More frequent cleaning may be required due to fuel quality, excessive lint from carpeting, bedding material, etc. It is imperative that control compartments, burn pot and pot holder, and circulating air passageways of the stove be kept clean and free of ash buildup, lint, and dust. Provide adequate clearances around air openings into the combustion chamber and provide adequate accessibility clearance for servicing and proper operation. Never obstruct the front opening of the stove. 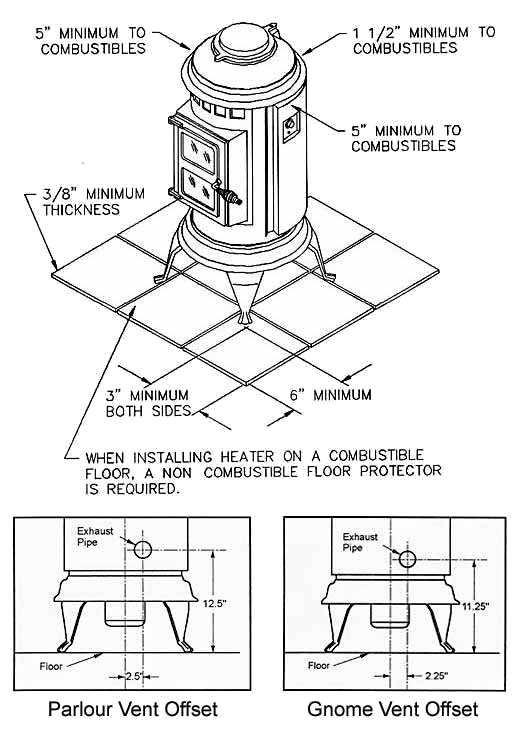 This stove must be electrically grounded according to local codes or, in the absence of local codes, with the National Electrical Code, ANSI/NFPA 70-1987. 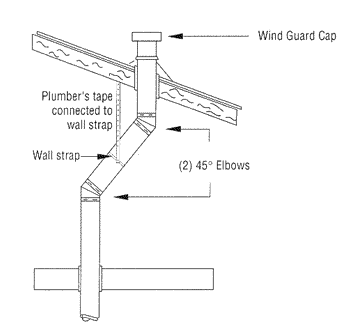 The diagrams contained on this web site are the authorized factory installation requirements. 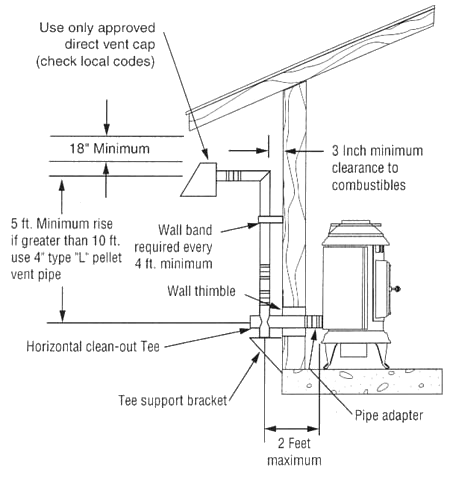 Pipe configurations that differ from these instructions can effect the performance of your stove, both gas and pellet, and may void your warranty. 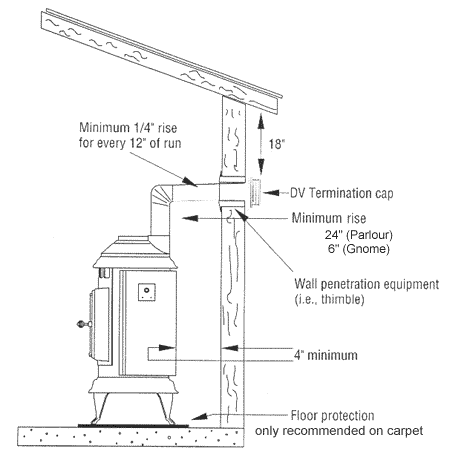 Thelin™ Hearth Products pellet stoves require a minimum vertical run of 5′ (five feet). There are no exceptions to this requirement! 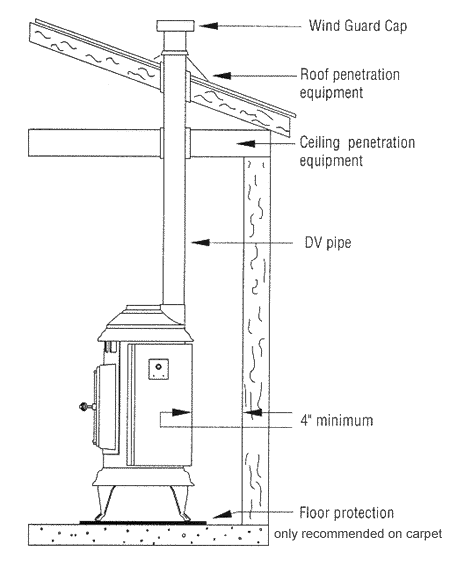 The vertical run can be either inside the house or outside the house as indicated by the diagrams. 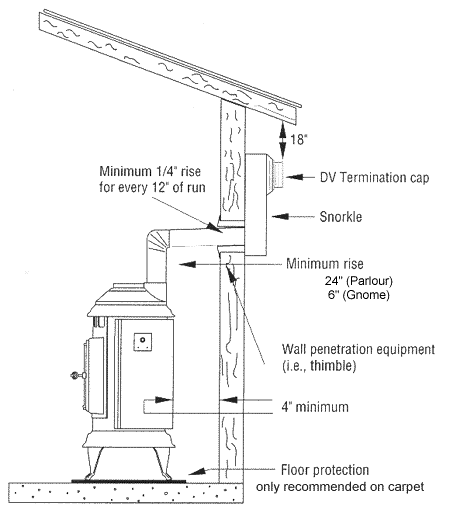 Thelin™ gas stoves require the use of Dura Vent Direct Vent Gas Chimney systems. Both Direct Vent Gas Stoves come with a Dura Vent adapter mounted at the factory. Contact your dealer for details. Note: During the first few burns (up to 2 – 4 hours) the high-temperature paint and sealant used in the manufacture will emit some odor and smoke. Open doors and windows to the outside for proper ventilation during the first burn cycle and the curing of the paint. 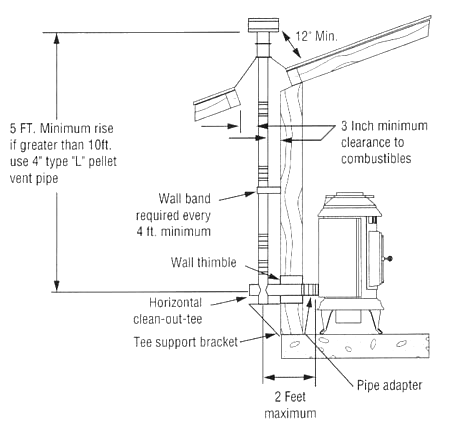 See our Frequently Asked Questions (FAQ) page for additional installation suggestions. We strongly encourage you to contact your local Thelin™ stove dealer. Thelin™ Hearth Products strongly recommends that a National Fireplace Institute (NFI) certified pellet or gas specialist do the installation and service of all of our hearth products, and that a building permit be secured prior to installation.